Port and Company has producing quality shirts at an exceptional price and their 6.1 ounce jersey net polo is no different. This kp 60 Jersey Knit is a wonderful shirt for the price given that it upholds well in washing and has really true colors it makes is a great competitor to the Hanes Gilden affordable shirt. More importantly what you don't realize when you look at the polo shirt is it comes in it comes up to four extra large in size. 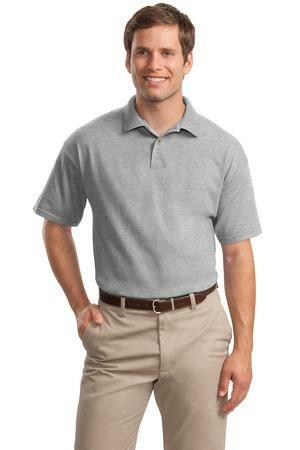 Most other polo shirts don't come that big in size at that affordable price. Try it out order it today and you will not be disappointed. If you are used to ordering the Hanes or Gildan you'll be pleasantly surprised of the quality of the shirt. Order 24 of the kp60 publisher for only 1699 with the one color left chest print. This is your chance to try out the shirt at an affordable price. She don't like to call us today at Ad A print. This polo upholds the exceptional quality and value you expect from Port & Company.